If you think that the Corinthian Classic Yacht Regatta, presented by Officine Panerai, isn't enough activity for you and your crew, check out the lineup of action at the Marblehead Maritime Festival. From August 8 to August 11, the Marblehead Chamber of Commerce will be celebrating Marblehead's maritime heritage by presenting the second annual Marblehead Maritime Festival. The Festival has an exciting line-up of festivities including a garden party, two days of classic yacht racing, sailing aboard the Schooner Ardelle, maritime exhibits, historic tours, bags tournament, live entertainment, kayaking, a treasure hunt and many family friendly activities. Thousands of sailors, boat owners and other maritime enthusiasts - not just from Marblehead - but from all over the Northeast, as well as participants in yachting events occurring that week, will be in town to enjoy the Festival. Sunday, August 11, 11am - 4pm • Experience the Festival Fun For All at Fort Sewall. 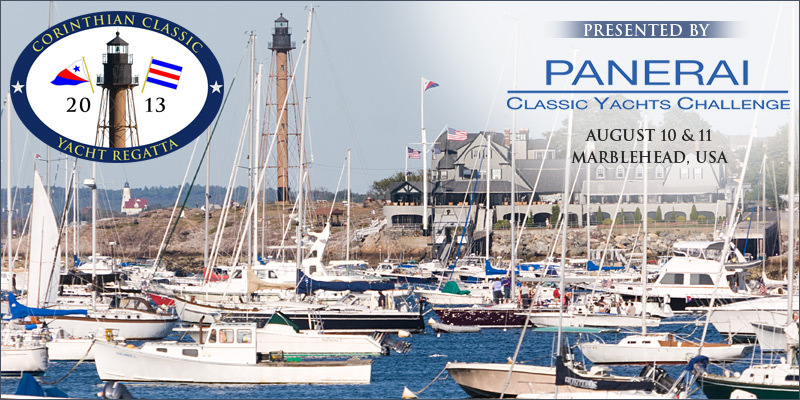 Relax at Fort Sewall while you watch the classic yachts under sail returning to the harbor from their final competition. A beer truck and food vendors will be on-site as you enjoy a rousing "Bags" tournament. Take in some history as you tour the site while learning about Marbleheaders at sea. Fun for all is guaranteed For additional information about the event visit www.marbleheadchamber.org, or find us on Facebook: www.facebook.com/MarbleheadMaritimeFestival.